So, in addition to a short medical update I will also share a few other thoughts. 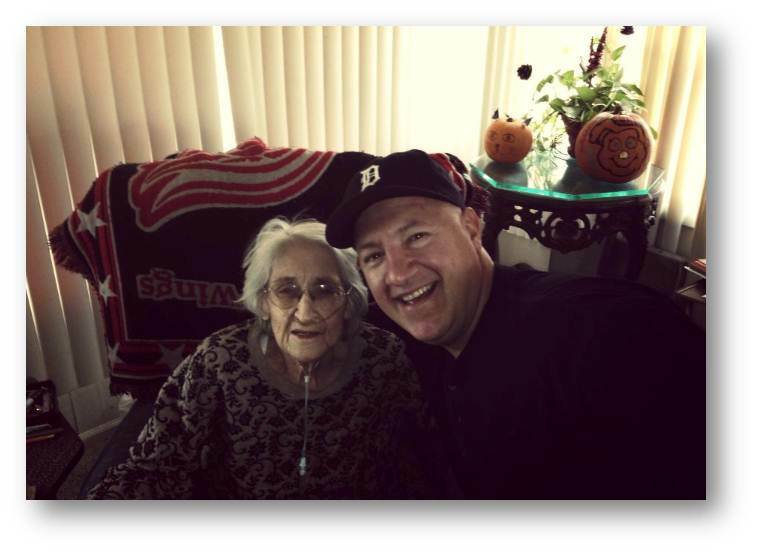 My Aunt Sonia passed away last week and her funeral was yesterday. She was 85 years young and she lived a very beautiful life. And she has left an amazing legacy in the hearts of her husband of 52 years, her six children, her many grandchildren and great grandchildren, her nieces and nephews, and countless friends! I have very fond memories of Aunt Sonia. My father would take us to Paw Paw MI nearly every summer to visit with his sister (my Aunt) on the farm. I grew up in the City (Detroit) and going to visit Aunt Sonia and Uncle Bob was always an exciting time that my siblings and I looked forward to. Aunt Sonia had a way of making us ALL feel special. When we would arrive she would meet us at the car and she would give each of us a big bear hug and kiss, barely waiting for us to exit the old VW bus. The love in her heart was so genuine. And lucky for us she cultivated that love into the hearts of her children (my dear cousins). Another fond memory that I have of Aunt Sonia was how she always made the most delicious food! And there was always plenty to go around. My Uncle Bob and Aunt Sonia had a large family (six children). Add our family (seven children) and another cousin or two — only then can you start appreciate the effort that went into the cooking. She was literally cooking for a small army! And somehow Aunt Sonia alawys made it look easy and effortless. I Love you Uncle Bob. I love you cousins. You are all in my Prayers. Go Red Wings! I think my Aunt Sonia was more a fan than I am (and those of you who know me well can imagine that she must have loved the Wings). I learned a lot about my family lineage yesterday. I now have a copy of the Scamihorn genealogy dating back to the mid 1800’s. I’m hoping to update this family tree information and share it with my relatives in such a way that we can all contribute to the story over time. It was fulfilling to learn about my ancestors. I now know that Samuel Scamihorn begot Jacob Scamihorn begot George Watson Scamihorn begot George Henry Scamihorn begot Philip Joseph Scamihorn (me). My connection to this lineage was severed because my Grandfather abandoned my father (and his family) when he was very young. We simply didn’t have the privilege to hear Grandpa’s stories. And now, at the young age of 49 I’m learning things I simply didn’t know. And it feels good to do! If you are interested in a handy way of reading a book full of Life lessons I STRONGLY recommend trying out the YouVersion bible! This is a free app that you can install on your smart phone and/or iPad. My wife introduced me to this app and it has quickly become my favorite. 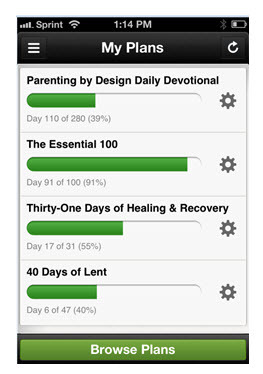 I enjoy following the daily reading “plans.” These plans vary from 3 days up to 300 days. A plan is essentially a guided tour through the scriptures. Examples of the plans include Parenting by Design, The Christmas Story, Relationships, Love and Marriage. My favorite part of a plan is the devotional writings. The devotionals appear to be written by theologians and they tend to add context and interpretation to the bible verses. I also love that you can easily switch between different bible translations and sometimes find myself comparing and contrasting between them. For me reading the plans are like reading a good book that you simply can’t put down. Oh, yah that’s probably because it is the Good Book! So far I have completed 23 different plans and I’m in the middle of four more that will soon be completed. Let me know if you are using this App. And check it out if you’re not. 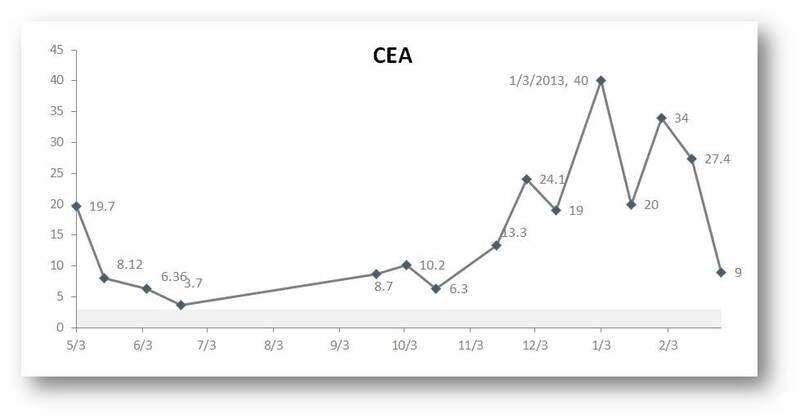 Excellent News – CEA is down! This is a good indicator that this Erbitux/Folfiri is working! My doctor looked over the rash (which is substantially less than it was) and decided a 50% dose of Erbitux was in order for today. I suspect that there might be a resurrgence; however, I’m also hopeful that it won’t be as bad as it was. Today’s infusion is nearly done. We’re hoping to be on our way home around 3pm. Thank you all for your continued prayers! And for all your support. Please keep my Uncle Bob and Aunt Sonia’s family and friends in your prayers. May God Bless and keep you forever! I loved this post! Thank you for sharing such special memories of your aunt and your family. The reading plans sound great — i’ll check it out for Android, not being on I-anything :>) And saving such encouraging news to the last! I pray the good trend continues. You’re a special guy! Good reports are so powerful!!! A good report can change the world from inside each person, extending out until every part of the world is changed. The Gospel, (good news), is the ultimate good report. Oh that God wants to be our friend, wants us to talk to Him (prayer) and He will talk to us (devine inspiration), as He’s typing through my fingers now. Eyes glass over with joy! CEA levels down, and able to continue the prescribed treatment. It’s a ray of light to me forshadowing a full and sunny lifetime of skys. I can hardly wait to get out your way and work on a project together. George, I am inspired by your faith and Love. Thank you for sharing a wonderful quote on Faith and for the email about how faith and hope work in us becoming the key to our accomplishments in life. We have faith we can and will do something and we go about in our quest believing, add a little patience (persistence coming from our faith and hope) we eventually succeed. Love it!!! Glad to hear your CEA is down!! 😉 That’s fantastic. This week-end is a Cold Water tournament. We are planning to attend a 5pm service in Marshall as the games are 9am and 12:30 on Sunday. Sunday 12:30 game is a rematch with Harper Creek. Thank you Cousin, for everything you share. 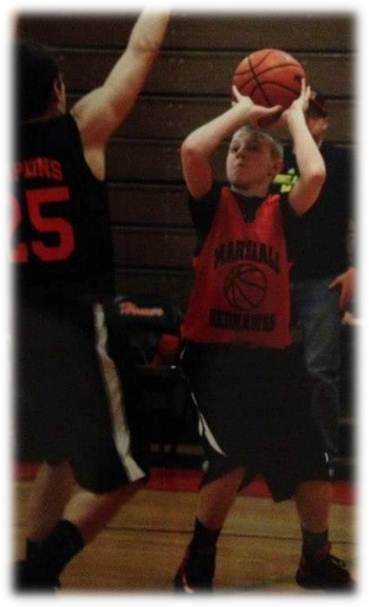 YAY BABY BROTHER!!! It was wonderful sharing some family history and the love of our large family. Hope the erbitux doesn’t get you down too much and hope it targets the cells it’s designed to hit. Love you much!